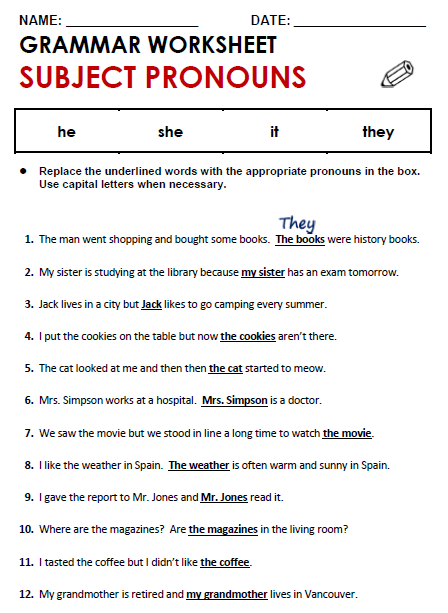 Replace the underlined words with the appropriate pronouns in the box. Use capital letters when necessary. 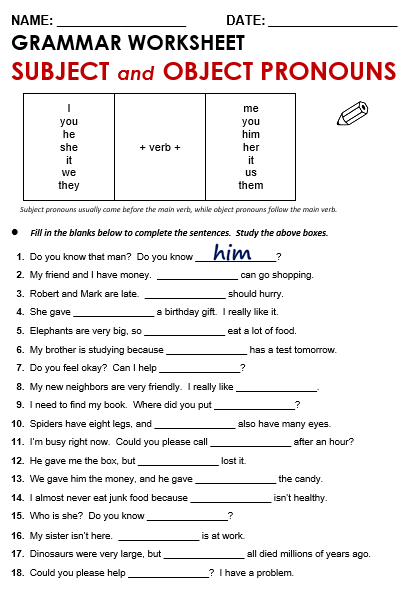 Before giving this worksheet to your students, model the exercise: draw the grammar box (at top of file page) on the board (but write just 'me' in the Object Pronoun column). 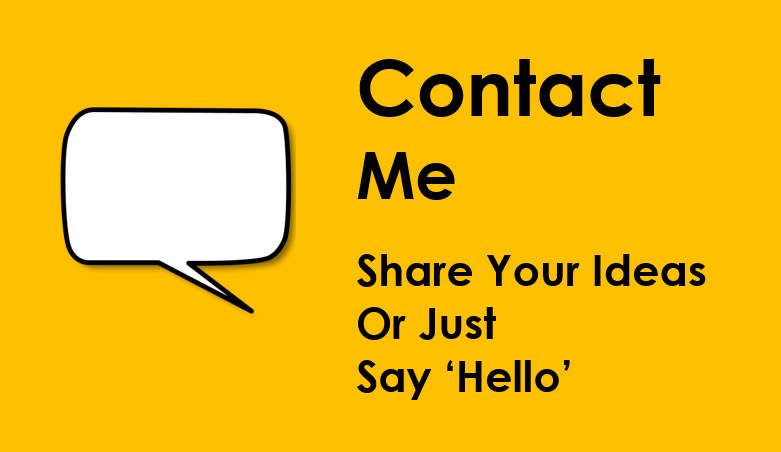 Explain that 'I' usually comes before the main verb in a sentence, and that 'me' follows the main verb. For example: "I have a pen." 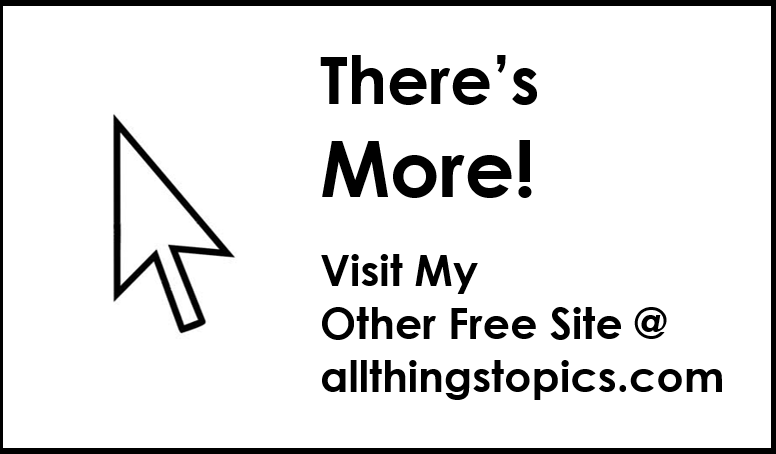 / "He is talking to me." 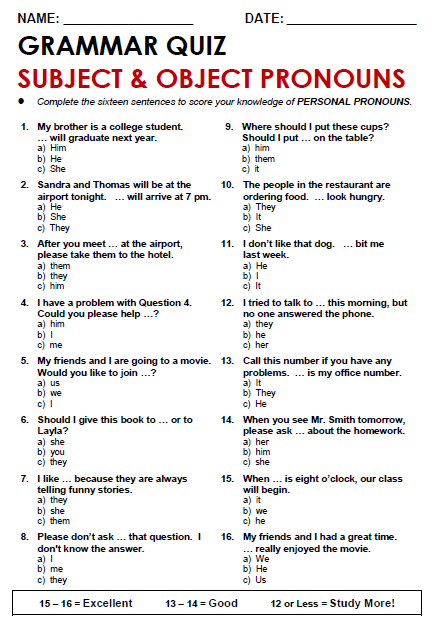 Elicit the remaining Object Pronouns and write them in the column. 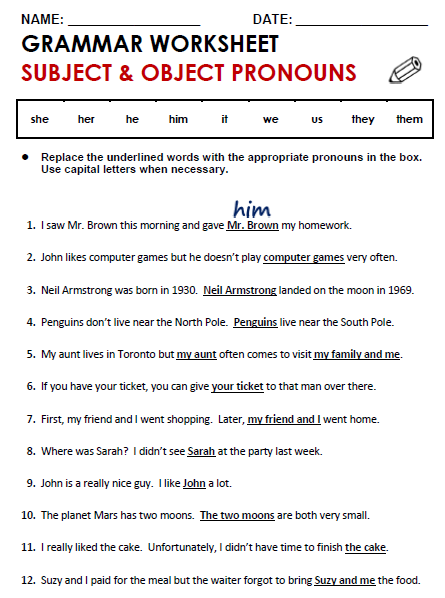 Then, give the handout to your students and ask them to fill in the gaps with the correct words. 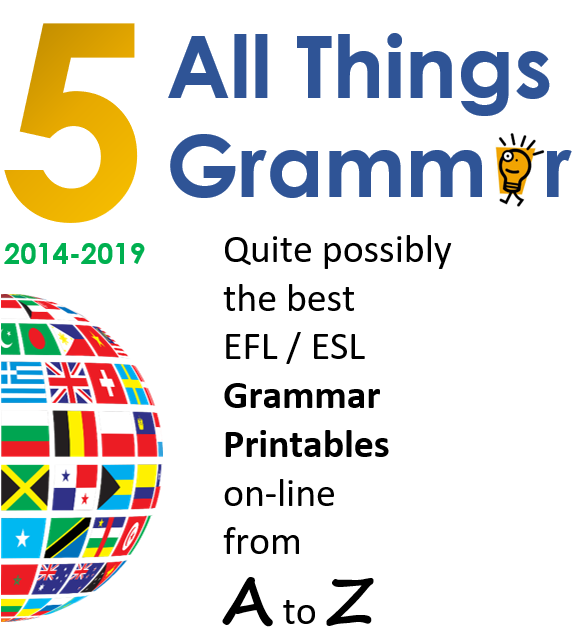 Wrap-up by having students compare answers with classmates, and then choose one or two students to write their answers on the board: (1) him; (2) We / etc. Correct and discuss any mistakes.